A group of researchers at NNDC Center of Excellence the University of Texas Health Science Center at Houston (UTHealth), led by NNDC Board Member Joao de Quevedo, MD, PhD, believes dysfunctional mitochondria, the structures that power cells, may contribute to the mood swings experienced by nearly 6 million American adults with bipolar disorder. In a study published late last year in the journal Neuropsychopharmacology, Dr. de Quevedo and primary author Giselli Scaini, PhD, compared mitochondria of 25 healthy subjects to 31 with bipolar disorder. They found evidence that the severity of bipolar disorder is related to an accumulation of dysfunctional mitochondria. In addition, as severity increased, so, too, did the issues with the mitochondria. 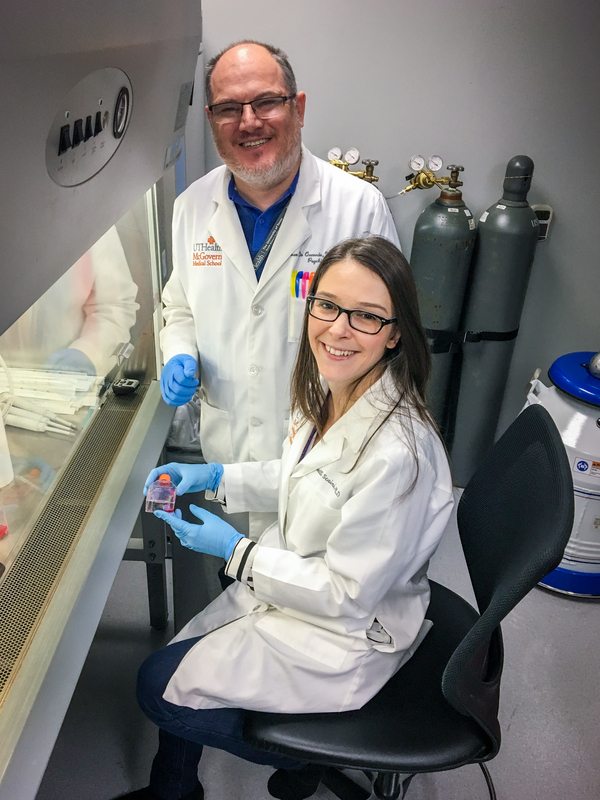 The UTHealth team was able to identify factors contributing to the breakdown of mitochondria, which could help develop new mitochondria-focused treatments for bipolar disorder. The study, titled “TSPO upregulation in bipolar disorder and concomitant downregulation of mitophagic proteins and NLRP3 inflammasome activation,” was supported by the John S. Dunn Foundation and the National Institute of Mental Health (R01MH085667-01 A1). Joao de Quevedo is the vice chair for faculty development and outreach, director of the Translational Psychiatry Program, and the Director of the Treatment-Resistant Mood Disorders Program at the UTHealth Department of Psychiatry and Behavioral Sciences.